It's kinda latepost, a week late, but well, better late than not posting it at all. Who doesn't know Dian Pelangi? The global acclaimed fashion designer from Pekalongan, Indonesia listed on the BOF500 2016 along with Olivier Rousteing and G-dragon, girl! she's awesome, mashaAllah. 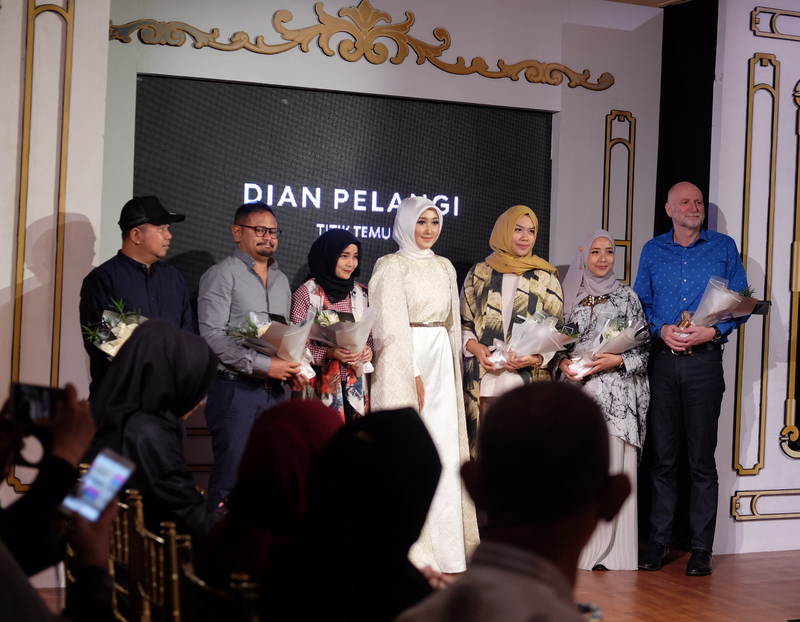 Actually, Dian Pelangi refers to the family company named after their first daughter who later become the brand ambassador and the company's fashion designer and creative director herself. 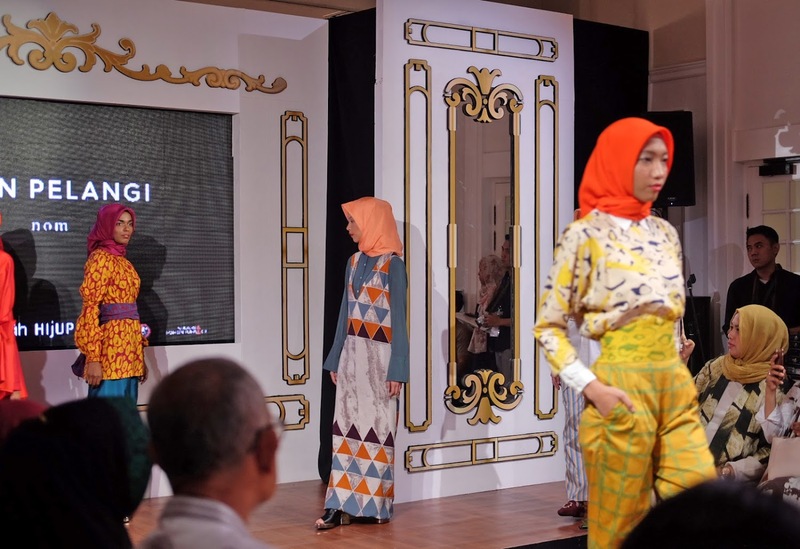 Last May 21st, 2017, she held a solo fashion show at The Hermitage Hotel, Menteng, Jakarta Selatan, entitled 'Titik Temu' to announce the rebranding of Dian Pelangi company. The 26 years old company decided to do a metamorphosis to the brand in order to build a stronger character by combining more of the modern element into their traditional way of production, designing, and fabric processing. Dian Pelangi, by 'Titik Temu', hereby declare that the seven sub-labels under it are being reformed into 4; Nom, Men, Krama, and Privé. This represented by the renewal of brand logo, visual merchandising, packaging, content, also the visual of Dian Pelangi website. Dian Pelangi with the Australian Embassy, and the representatives of the event sponsors and organizers. 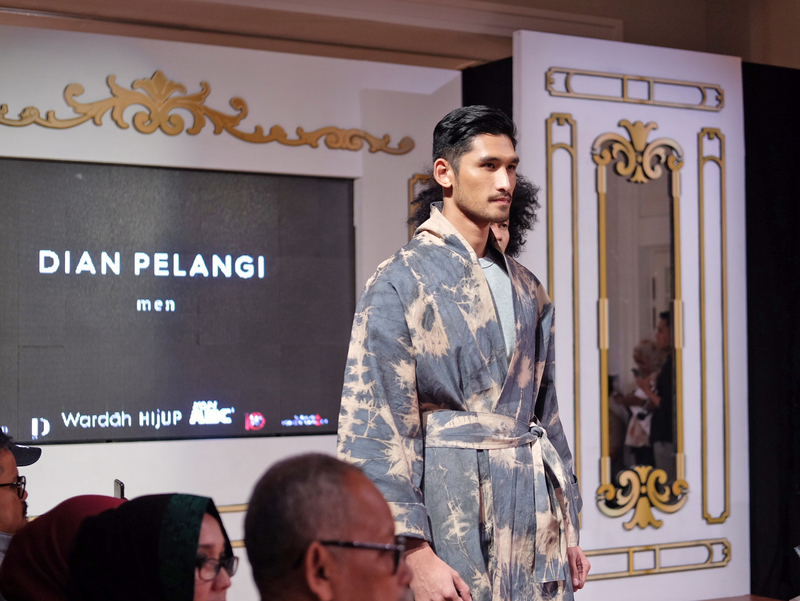 Dian Pelangi Men is of course provide high quality modest fashion for men. The color choice and design for this collection is so cool, so masculine, and slightly had that 'japanese feel' in it, but hey, I would love to wear them too if they make this material available in women wear design, I mean, look how gorgeous they are! (the pattern and materials, not the models, lol). p.s. 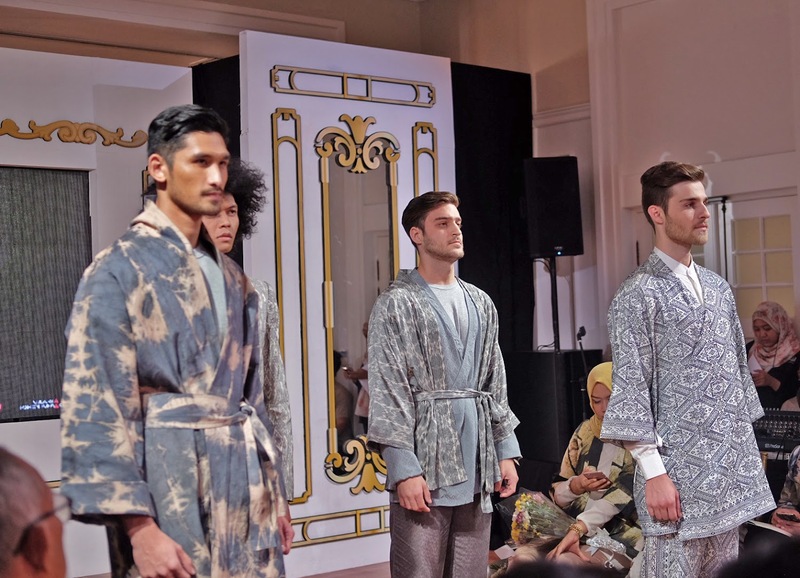 Something super silly happened during Dian Pelangi Men runway session. So, most of the crowd at the venue are of course ladies. Guests, customers, Dian's friends are mostly girls, and guess what, when these male models walked in, the venue was filled with 'Ooooowww....' sound, like I myself barely said that quitely in my head and I realized I wasn't the only one! Astaghfirullah, I quickly drag my focus away from the mashaAllah so surreal sight, lol, I swear to god it was accidental and totally embarrassing but all the audience burst out laughing after that and no one do it again at the end of the show when the male models once again walked into the runway, wkwkw, it was hillarious. This paragraph is longer than the main topic, sorry, lol. In Javanese or Bahasa Jawa, krama is a higher level of language that we speak to (or spoken by) the noble family, we used to call it basa krama or bahasa halus. 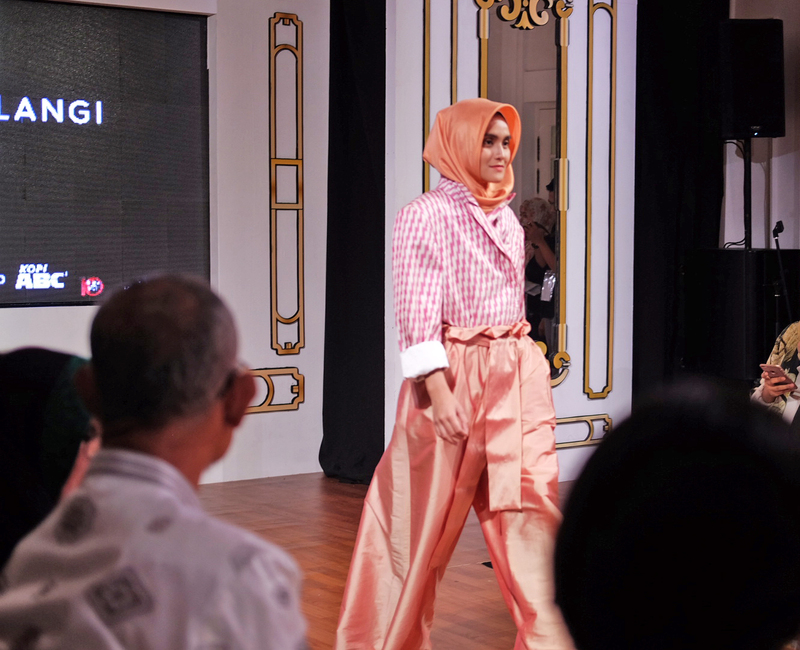 Okay, Dian Pelangi Krama is for those who needs to look classy and elegant. 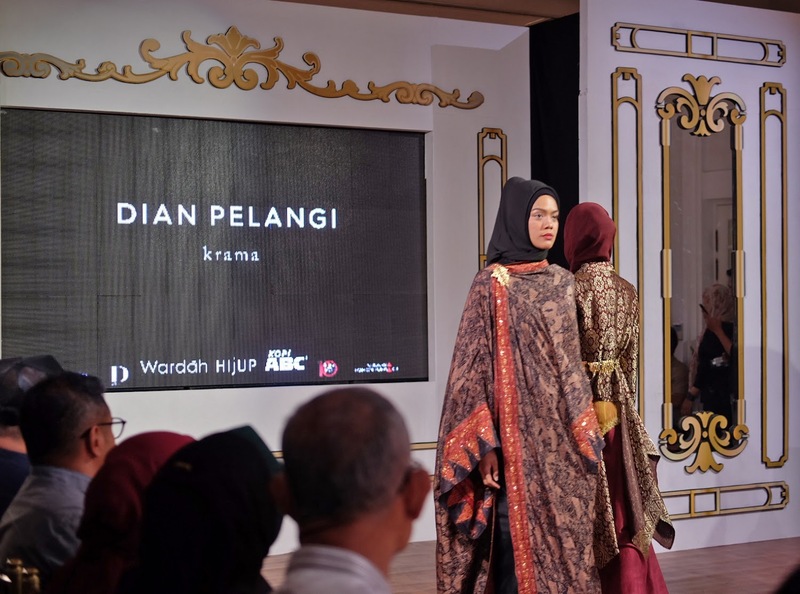 This collection is kinda surprising to me, because as much as I know, eventhough Dian Pelangi is a Pekalongan-Palembang mix, most of her designs seem to be more into Sumatra culture with lots of tenun, red and gold combinations, while this one is probably much inspired by Javanese culture, I think? 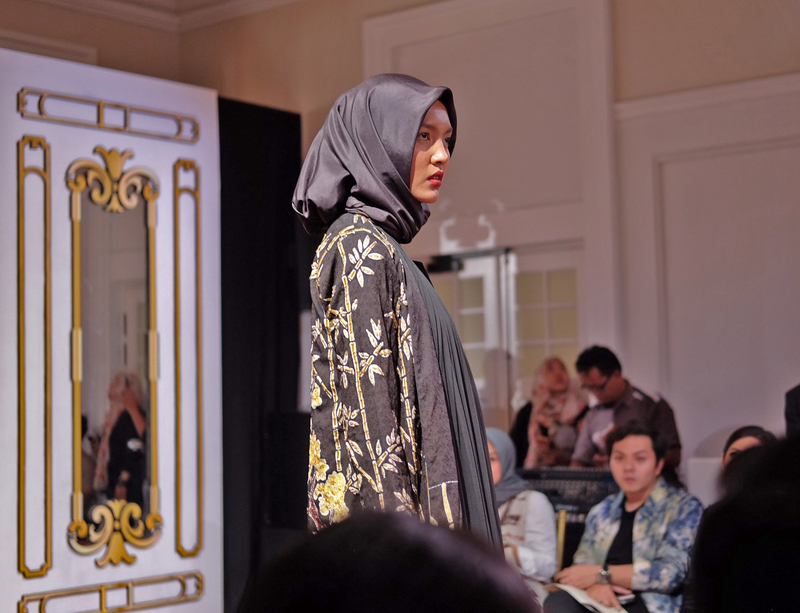 I saw so many hints of traditional javanese bridal wear, such as black suede kebaya with gold embellishment, and many more black and gold combinations, viscose batik, that are so much Javanese. Anyway, she's still killing it! 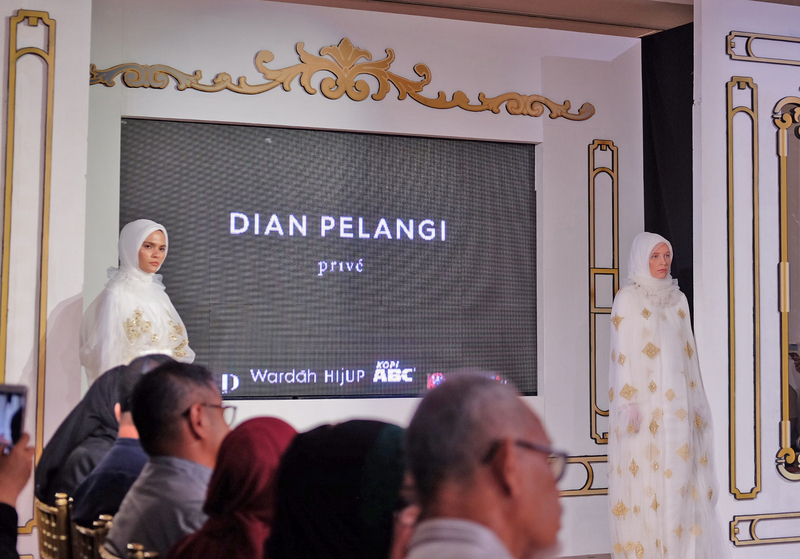 Dian Pelangi Privé is the premium label that specializes in couture fashion. Here is where you can get your one and only customized item. It's a love at the first sight when I saw the pieces which looked so royal, and well manufactured. This label is definitely on a whole different level. 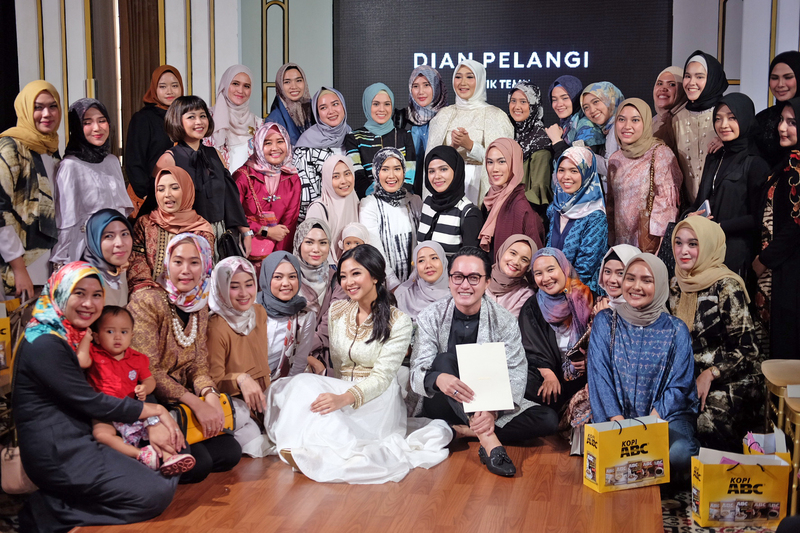 Other than quality and design improvement, one of the reformation that she make is to focus more on online selling, that is not as concerned before, by making it easier for us to shop her collection online because she will be adding more stuffs into the web catalog at www.dianpelangi.com and Instagram account @shopdianpelangi. It took quite a long time and path for Dian to create such a right formula for Dian Pelangi. Eight years experiences of joining world class fashion events in all five continents, leads Dian to create this new image for her brand. Here is the amazing fashion designer having a blast! 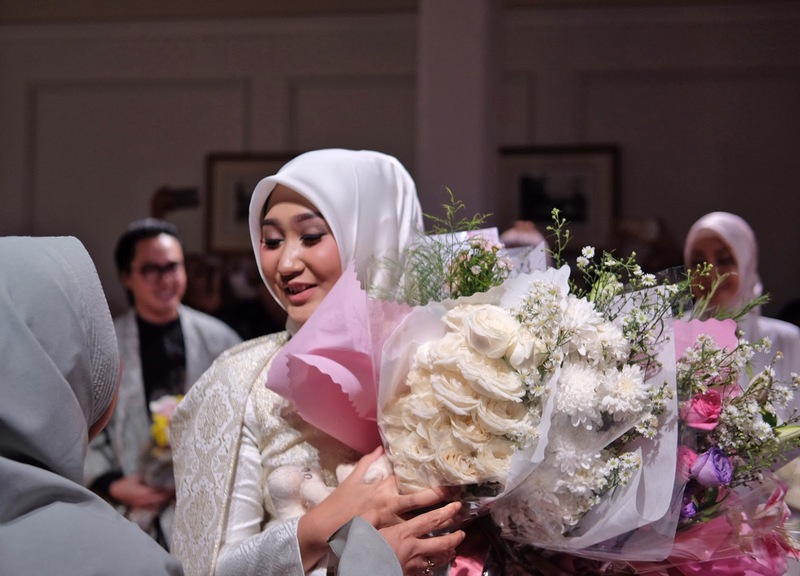 Barakallah, congratulations for the re-branding, mba Dian! Here are some of the audience who probably involved in creating a fuss when the male models walked in, wkwkwk. A humble lady sandwiched by two guests who came all the way from Jogja, me and mba Indah Ederra. It was a normal day before mba Dian texted me that she wants me to come over to her re-branding event in Jakarta. 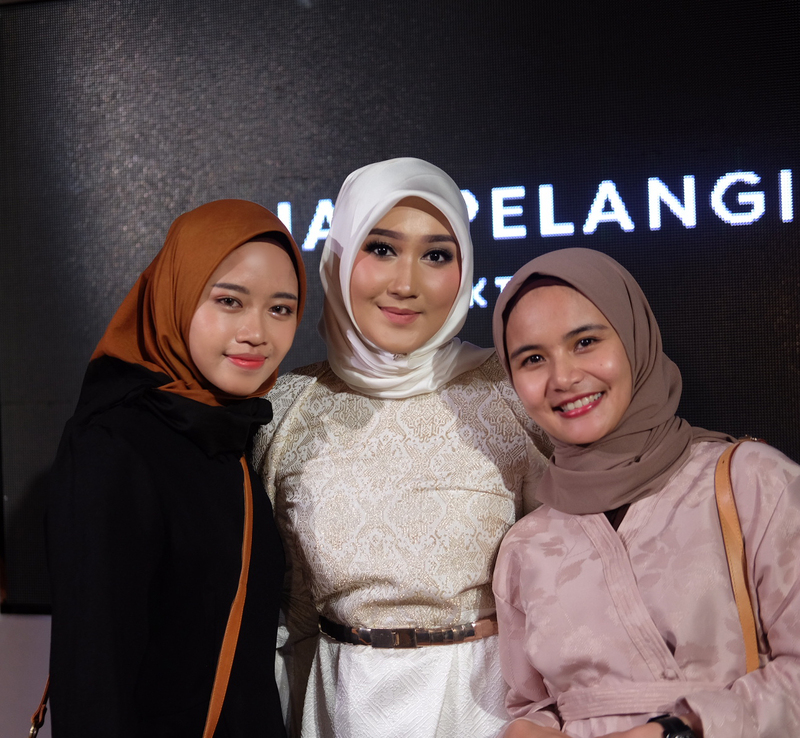 I'm totally nobody to be invited to her event compared to other amazing guests that I met, we just happened to be good friends through modest fashion and Jogja culinary, but I'm so thankful that such humble lady exists and to call her my friend. 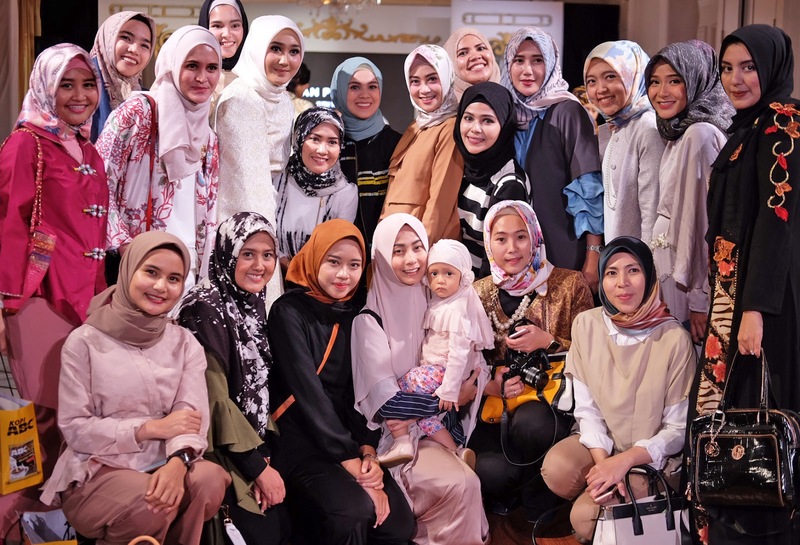 Mba Indah Ederra, another good friend of mine were also invited, pssst she's having a growing angel inside her belly right now, so happy for her alhamdulillah. We both are the only guests who came to the venue dragging our luggage because we had to catch flight back to Jogja soon after the event. It was such a memorable staycation with preggo mommy dilemma and all, haha. Me, Indah Ederra, and Nina Nugroho. Thanks for introducing me to more new good friends in ibukotah mba Indah, nice meeting you mba Nina Nugroho. 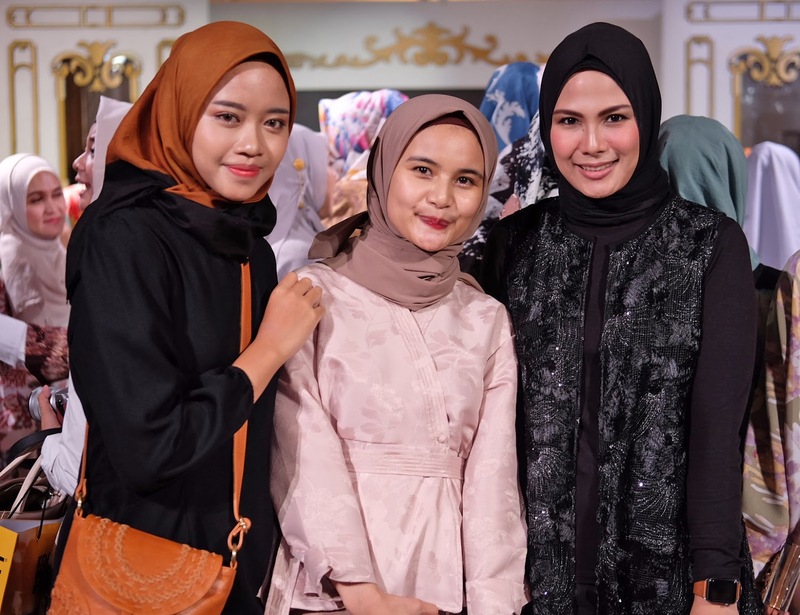 Checkout mba Indah Ederra's collection on Instagram @ederraid for daily wear and @indahederraofficial for premium stuffs, and @ninanugroho.id for mba Nina's collection you girlsss! 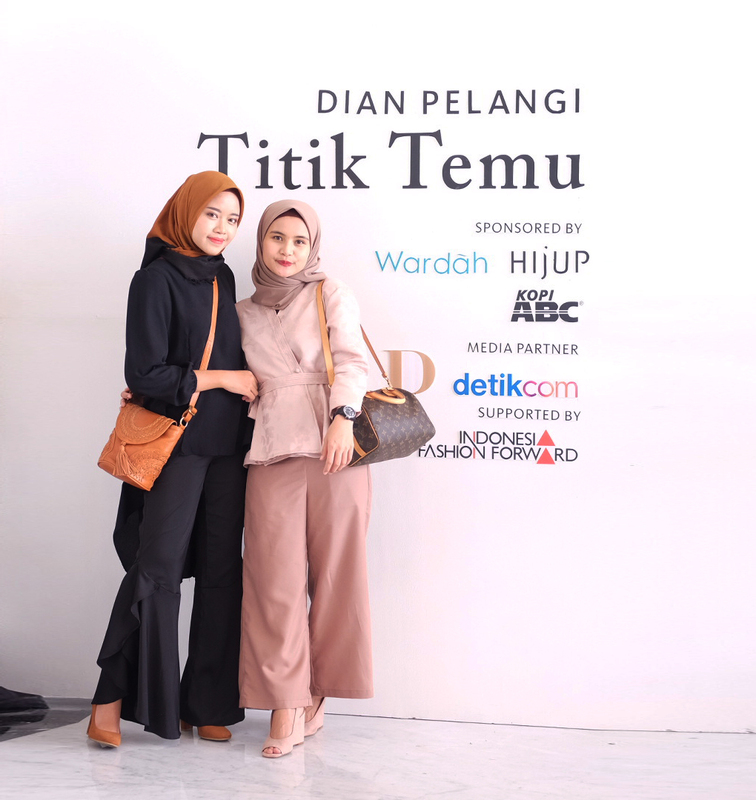 Dian Pelangi, the family, customers, and the team are hoping this re-branding would be the answer to fulfill the needs of modest fashion customers globally in this tight competition and growing modest fashion industry. 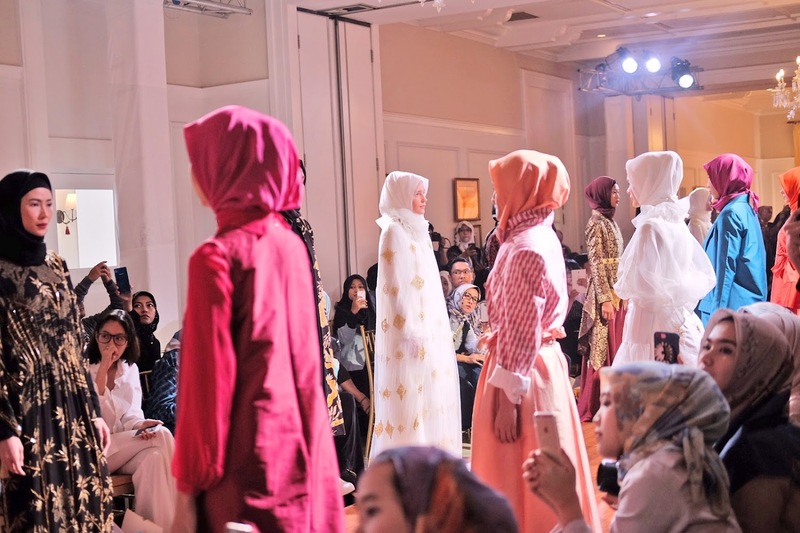 I sincerely congratulate you mba Dian for the new four sub-labels, and wishing it a great worldwide success in the global modest fashion industry! InshaAllah. Remember this one, I will always be here cheering for you! If you're planning to go to Jogja, this one can be listed to your where-to-visit in Jogja bucketlist. This vintage high wall building is located in the area of Tamansari Water Castle complex. It's indeed a wrecked old building, but it has so many good backgrounds, so OOTD friendly, hey, I got your back OOTD lovers! 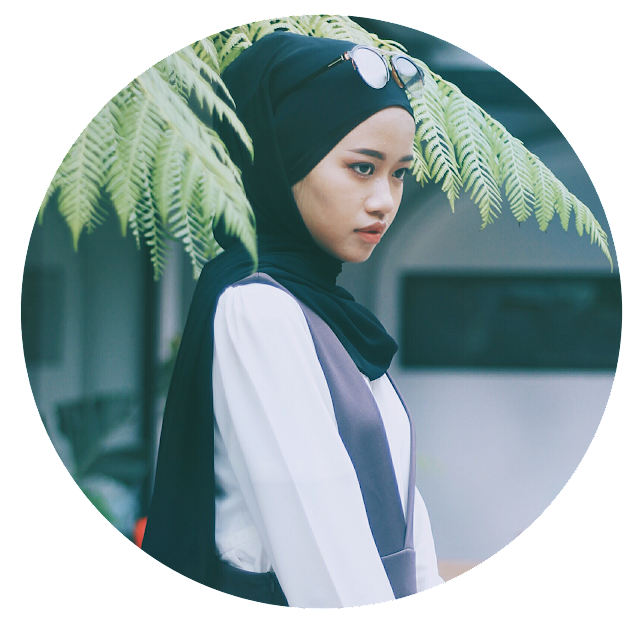 Not only you can look around witnessing the glorious past of Jogjakarta, you can also get some good outfit shoots, cool, huh? This one where I get to pose is the area near the old Pasar Ngasem. I actually don't really know what building this is, but the wall is very tall, and it seemed to have a curvy ceiling back then but now it happened to be roofless, and you can see the sky up above from inside the building. Sorry, teribble descritiptions. Anyways, the lighting is perfect since the light enters the wall and creates a beautiful shadow. The bright painted wall reflects the light to our body very well. Oh, the Tamansari area was all renovated and repainted. This building was built during the 1800, and of course, it becomes quite rotten and mossy when it's left unused. But, now it's still pretty much delivers the 18th century vibes to the visitors, and even to locals as I am, since I don't really get to visit traditional sites often as well, but I always amazed by the history that my hometown has. I also have been so much satisfied by the result I got from this shoot, so mystical yet elegant, kinda touristy too, just perfect! 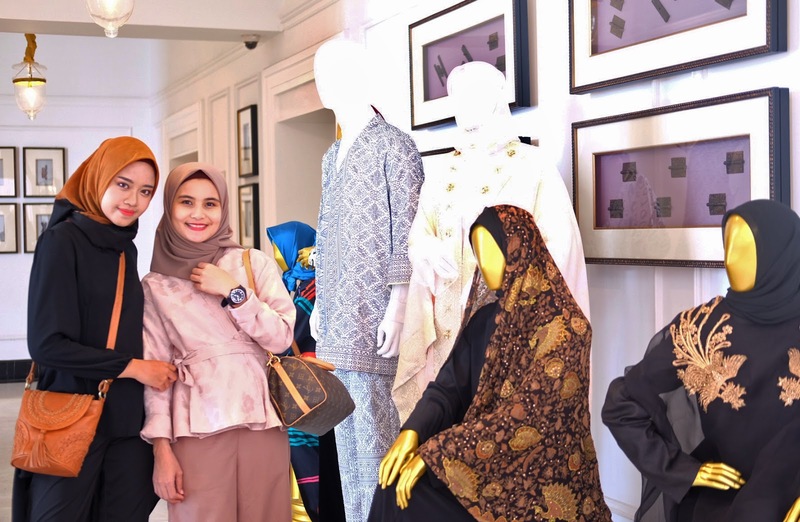 So, are you guys ready for a traditional yet stylish itinerary in Jogja? don't left out the charm of Tamansari! You can also browse more for what else to see there because it's soooo many. Have an amazing trip! Thanks for reading! 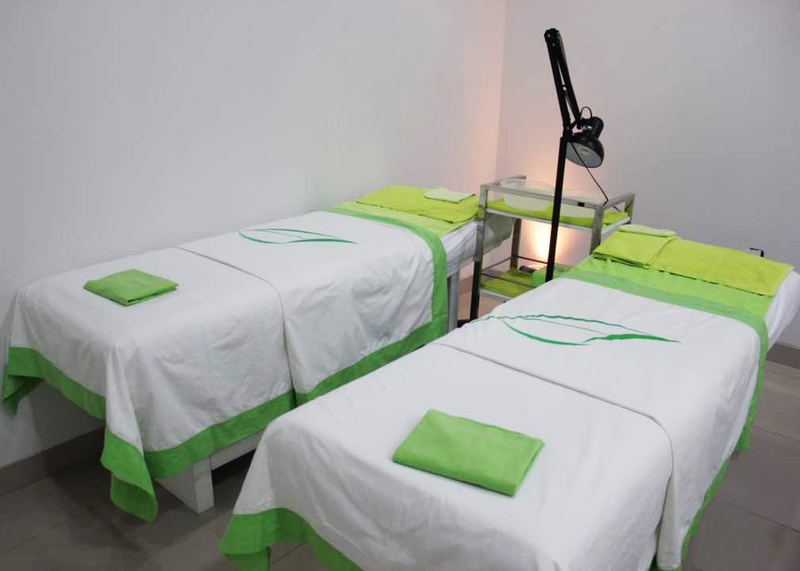 Jika anda berencana pergi ke Jogja, yang satu ini bisa dimasukkan ke daftar tempat untuk dikunjungi di Jogja. Bangunan bertembok tinggi yang terkesan vintage ini terletak di kawasan kompleks Tamansari. Ini memang bangunan tua yang sudah tidak sempurna, tapi memiliki banyak background yang bagus untuk OOTD, hey, tenang ajaaa para OOTD lovers! Tidak hanya anda yang bisa melihat sekeliling menyaksikan kejayaan masa lalu Jogjakarta, anda juga bisa mendapatkan sejumlah foto yang bagus, keren kan? Tempat kali ini dimana saya berfoto adalah daerah dekat Pasar Ngasem yang lama. Sebenarnya saya tidak benar-benar tahu bangunan apa ini, tapi dindingnya sangat tinggi, dan sepertinya ada langit-langit yang melengkung jaman dulu, tapi sekarang atapnya sudah tidak ada lagi, jadi anda bisa melihat langsung ke langit dari dalam gedung. Anyways, pencahayaannya sempurna karena cahaya masuk ke dinding dan membentuk bayangan yang indah. Dinding yang dicat terang memantulkan cahaya terhadap kita dengan baik. 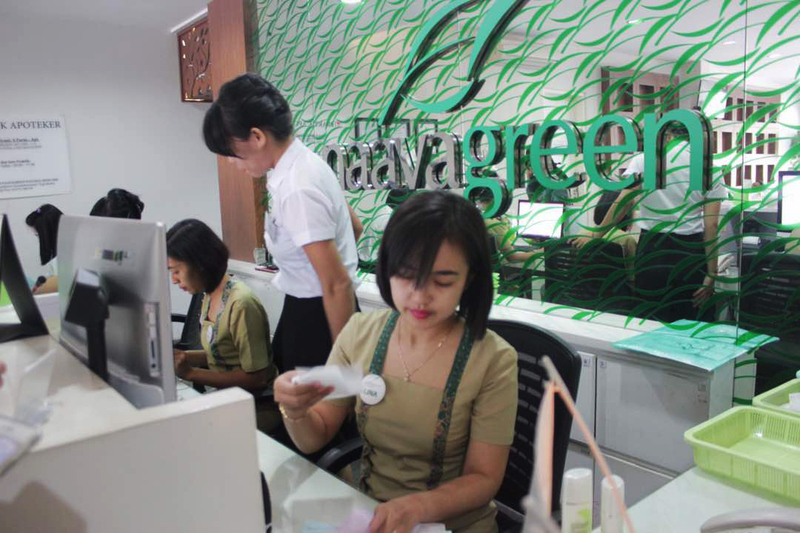 Oh, kawasan Tamansari semuanya direnovasi dan dicat ulang. Bangunan ini dibangun pada 1800, dan tentu saja, menjadi agak rusak dan berlumut saat tidak digunakan. Tapi, sekarang masih cukup memberikan vibes abad ke-18 kepada para pengunjung, dan bahkan kepada penduduk lokal seperti saya, karena saya juga tidak pernah benar-benar ada waktu mengunjungi situs tradisional, tapi saya selalu takjub dengan sejarah yang dimiliki kampung halaman saya ini. Saya juga sangat puas dengan hasil yang saya di foto kali ini, agak mistis tapi elegan, agak touristy juga jadi keliatan liburan, haha! 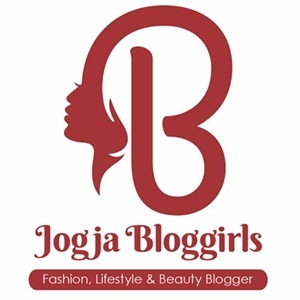 Jadi, apakah kalian siap untuk melaukan perjalanan yang tradisional sekaligus stylish di Jogja? jangan ketinggalan pesona Tamansari yah! Kalian juga bisa browsing lebih lanjut tentang apa lagi yang bisa dilihat di sana karena masih banyak lagi. Semoga perjalanan kalian nanti menyenangkan! Terima kasih sudah baca!